Every homeowner knows that one of the most irritating and dreadful chores is to clean a dirty oven. This is especially true when the racks are covered with sticky grime, baked-on grease, and burned pieces of food. 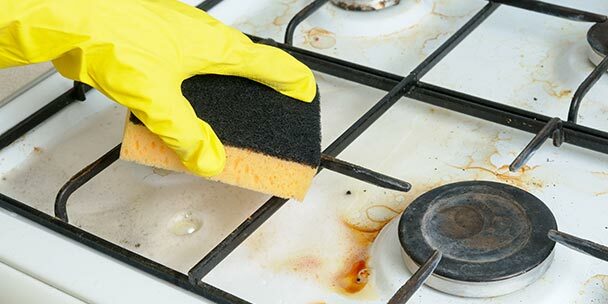 Even if you use your oven sparingly, chances are that residue will still accumulate. 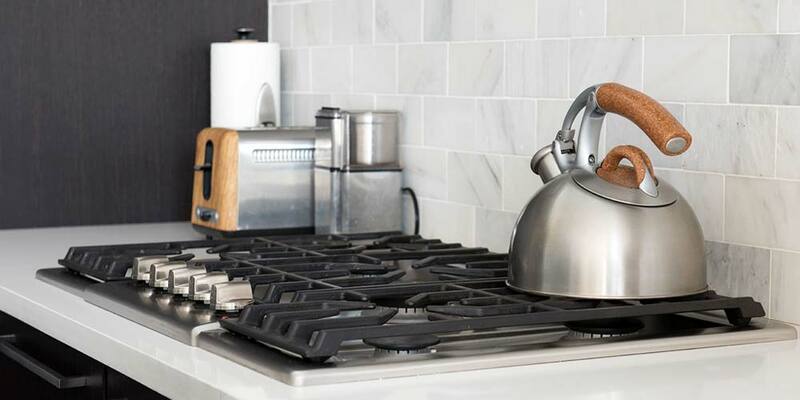 Putting off cleaning your oven racks will only delay the inevitable, and increase the amount of work needed to remove layers of baked-on food debris and grease. Will the Self-Cleaning Feature Work on Racks? It can, but it is not recommended. Some people have self-cleaning ovens, but many repair companies and health experts are cautioning against utilizing this feature. Temperatures can reach 1,000°F, and may cause damage to internal elements of the appliance, as well as ruin the racks. The extreme level of heat in the self-cleaning cycle has the potential to destroy the shiny chrome finish. To prolong their life and preserve the shiny look, it is recommended that you remove the racks before using the self-cleaning feature in the oven. Of course, this means that the racks still need to be cleaned the old-fashioned way. No matter what type of oven you may have in your home, it would be wise to learn how to clean your oven racks, and do so on a regular basis. Rest assured that cleaning them is easy with the right technique. Below, we’ve covered five ways that you can get the job done quickly and with a minimum of hassle. An effortless way to clean your oven racks is to line your bathtub with dryer sheets. Lay the oven racks on top of the sheets, fill the tub with just enough warm water to cover the racks and add a half-cup of dish soap. Allow everything to sit overnight. Drain the tub in the morning and use the soaked dryer sheets to wipe the racks clean. 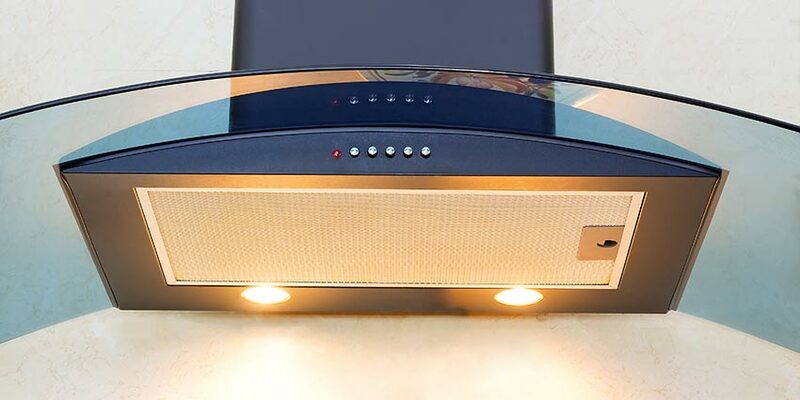 The power of the antistatic in the dryer sheets helps to separate the food from the racks by diluting the bond, while the fabric softening agents soften the baked-on food. Because this method happens in the bathtub, cleanup after you take care of the oven racks is easy. For this method, you will also be using your bathtub. Set the racks in the tub without any water. Once they are in place, sprinkle baking soda — which acts an a cleanser and deodorizer — over the racks and then douse them with vinegar. After the foaming stops, run the hot water in the tub until it fully covers the racks and allow them to sit overnight. Scrub the racks with an old dishtowel in the morning to remove the grease and grime. Use an old toothbrush or a brush with firm bristles to help remove any baked-on gunk that remains. For especially stubborn spots, add kosher salt to create a more abrasive scrubbing system. Afterward, rinse the racks completely before you place them back in the oven. This is a fairly standard and straightforward “no-mess” method, but also the most dangerous. You will need a large plastic trash bag, ammonia, a trash bin, a place outside where you can leave the racks overnight and a hose connected to a water source. To remove the grime from your oven racks with this technique, you simply place your oven racks in the large, unused trash bag. Add a half-quart of ammonia. Tightly tie off the bag and put it in a garbage can. Then let them sit overnight. The racks do not have to be coated in the ammonia, because the fumes will circulate and do the job. That being said, some people have found better success after they set the racks flat while they are in the plastic bags so that the ammonia can reach every spot. If you try this, be very careful to seal the bags tightly so that the ammonia cannot leak out. Also, make sure to place the garbage can outside so you don’t allow these dangerous fumes to circulate inside of your home. The next day, open the trash bag in a well-ventilated area. Be cautious of the ammonia and the fumes! Take the necessary precautions to avoid inhaling the fumes that come out of the bag. You will need to have gloves and safety goggles. You will also want to wear something that you do not mind ruining. Spray the racks down thoroughly with a hose and watch the previously cooked-on grease dissolve right off. Once the racks are rinsed and dried, replace them in the oven. For this strategy, all that you need is a bathtub, dishwasher granules, old towels and a few old sponges. This simple method has you place old towels down in your bathtub. Alternately, you can lay a few old sponges in the corners for the oven racks to rest on so that they will not scratch or damage your tub. Place the oven racks in your bathtub carefully, on top of the towel or sponges. Next, fill your tub with just enough hot water to cover the racks. Then add a cup of dishwasher powder. Let the racks soak overnight. In the morning, rinse the racks. The stains will usually wipe right off with a firm rub of a sponge or clean cloth. If you follow this tip but the marks still persist, try something more abrasive, like a dish scourer. 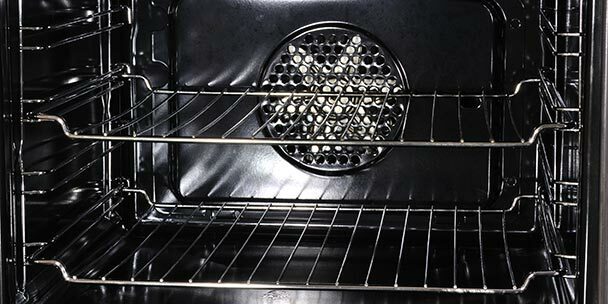 If you are cleaning an oven rack with an enamel finish, make sure you do not apply too much pressure. Also, do not leave the product in contact with the racks for an extended period. An old toothbrush might be helpful for scrubbing into the corners and completely removing old scorch marks. Rinse thoroughly, dry and replace them in your oven. 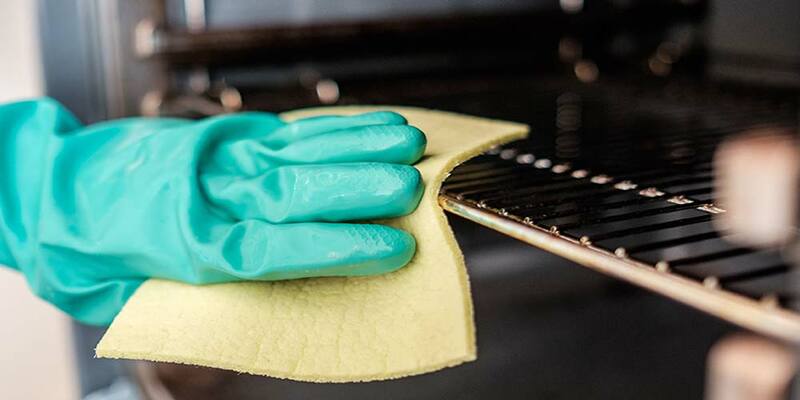 Most commercial oven cleaners will produce toxic fumes, so if you plan on using one, be sure to clean the racks outside in an area that is well-ventilated. Cover a work surface with a plastic shower curtain or old newspaper. Lay the oven racks down in separate layers. After you put on rubber gloves to protect your hands, spray an oven cleaner product liberally onto both sides of the racks. Leave them sitting for at least 10 minutes, or however long is recommended for that product. Scrub the racks with an old rag or toothbrush, and rinse thoroughly with a garden hose before replacing. 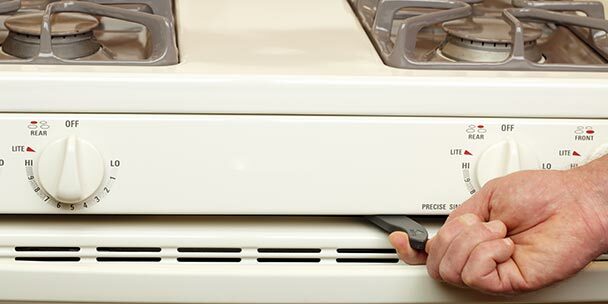 Cleaning oven racks can be time-consuming, especially if it’s been awhile since you cleaned it last. Nobody likes to scrub the stains from burnt on foods, but we all have to do it — or at least we should. With these simple and practical techniques, your oven racks will be glistening like new sooner than you realize. There are many other ways to clean oven racks, but these are the methods that do not require much work from you. Cleaning oven racks is a neglected and dirty job, but by following these techniques you can return them to their original sparkle with very little effort. Hello can tou do the dryer sheet method in a plastic tub. pput some towels on tub-just enough so racks wont scratch–2 bathtowels does it. Then run hot water into tub; enough to cover racks, toss in only 6 dryer sheets and 1/2 C Dawn. let sit a few hours–(i’ve neverleft it overnight–i only have one bathroom and showr in the AM). after a few hours i use the dyer sheets to wipe off the racks. works! What about cleaning the burner pan? You can’t use the “Self cleaning oven procedure” on the burner pans or the racks? dont know if this would work–what I do is put some Casade in my stock pot–toss in the burner plates with water and bring to boil, then let boil for a bit and then rest. Scrubbing the remaining residue with one of those coiled stainless steel scrubbies–i think the name is scotchbrite works nicely. Don’t know if it would work for oven racks, but I found a tip online for removing burnt sugar, which is about impossible otherwise. It saved me replacing a $50 steam table tray that I use for boiling maple sap into syrup. Old towels or rags soaked with Hydrogen peroxide to cover, and place in sealed garbage bag for 24 hours. Again, this might be specific to sugar, and might not, but if you ever have burnt sugar to clean off metal, it works at least for that. I don’t have a tub – only walk in shower and my kitchen sink is not that big. Any suggestions as to how to clean my oven racks? The shower pan for my shower can hold about 3 inches of water. Get large flat plug lay the racks side by side and you have a “soaking” area. Use caution if you do this with ammonia, be sure to close door and use vent fan for safety. Thanks for sharing how to clean oven racks. You have given different types of cleaning them and I am so appreciative! I used the ammonia-in-a-plastic-bag method. I now have dull racks that have black/grey marks all over then that do not clean or scrub off. I researched (too late) online and found a source on a car forum that states to NEVER use ammonia on chrome. It will dull and darken it. Am I wrong that oven racks are chromed, and not stainless steel? Is there some other explanation? I tried it to and my oven racks are also dull and darkened.I might as well left them in the self cleaning when Icleaned it.The instructions say don’t leave them in the oven because it will ruin racks just like the ammonia did!!! My racks turned dark as well – no way to get this off? I think the ammonia ruined the finish. I will never take advice like this again. I’ll call the mfg first! My detachable bottom rack is pretty oven burnt. I’ve used every off the shelf cleaners available. I’m going to try the dryer sheets next. If I’ve used all purpose cleaners and Oven off on my rack is it to late to try the dryer sheets? I use soda crystals and hot water, soak at least 30 minutes, then wipe clean, amazing results. What are “soda crystals”? Do you mean baking soda? You can also try in the bathtub again! Put the oven racks in and add bleach and about a half cup oxy clean and cover with hot water. I have not tried this yet but a friend swears by this method. Hi. Which is the best method for Chrome Plated grill racks, like the ones that came with a NuWave Oven? If I use anything too coarse to rub or brush them, the plating will be removed. Thanks. I just put my racks in tub, spritzed them with vinegar, then shook baking soda all over. I let that sit for about ten minutes, then let hottest water cover the racks, poured about half cup of Dawn dish liquid in and they soaked for four hours. The gunk slid off!!!! I am still amazed at the ease of cleaning, and with a good spray of water, my tub is sparkling too!!! I put my oven on self cleaning and left the runner grips on racks. What can I do to clean up mess? I hate using harsh chemicals. Bad for environment and bad for my septic system. So when I saw the dryer sheet, dish soap method I was eager to try. My fondest hope was that all the crud in the nooks and cranies would be dissolved. No such luck. I let the racks soak for 24 hours. The easy stuff came off ok but all of the joints had to be scrubbed hard with a grill brush and stainless steel pad. After turning my bathroom into a swamp, I found thousands of shards of metal in the tub, perfect for getting into someone’s foot, that had to be meticulously removed. Also have two divots in tub. Back to nasty oven cleaner I guess. Sure wish it had worked.